If you are facing any error or Installation failures, Please Let us know We are happy to Help you. By Single Click, The Shipping Label & Commercial Invoice get generated By our Extension DHL Express. No need to define anything in order Page. Displays DHL Live Shipping Rates based on the Shipping Address and Cart Content. Premium supports DHL Label Printing & Tracking. 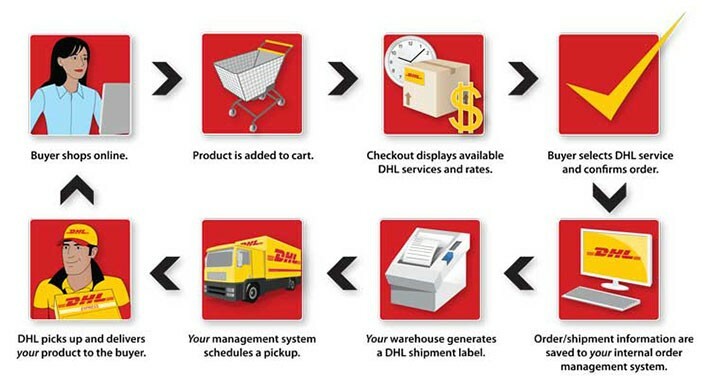 Looking for the easiest & efficient way to integrate DHL Express with OpenCart shopping cart? Tired of copying and pasting order details just to create a label? Here is the solution! DHL Shipping Price Calculator: Get prices for following domestic and international shipping services. DHL Shipping extension helps Opencart based stores to streamline DHL Express shipping integration. This extension helps you to get shipping rates from DHL APIs based on product weight, postcode and other relevant details. Based on the postal codes and other parameters, all available shipping services along with the rates are listed for the customers to choose from. Once DHL Shipping extension is installed and configured with necessary information, your Open Cart Shop will be ready to ship using DHL Express. 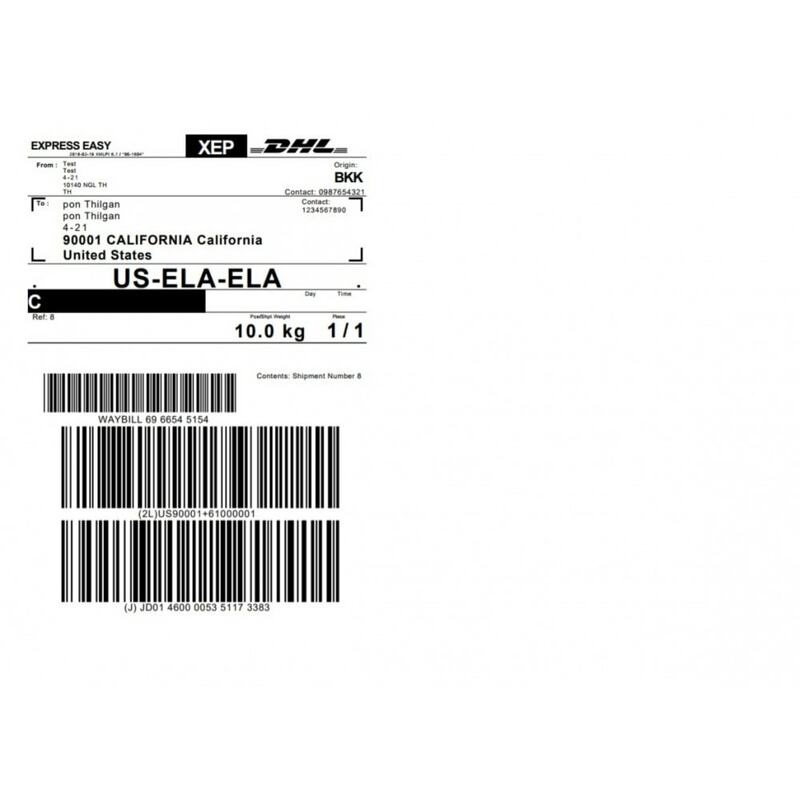 This extension will add DHL shipping method as one of the shipping methods in Open Cart. While checking out, a customer is presented with the available shipping services and the rates based on his/her postal code, product, weight and dimensions. Customer can choose the best method that matches his/her requirements and proceed to payment. * Print shipping label with Postage. 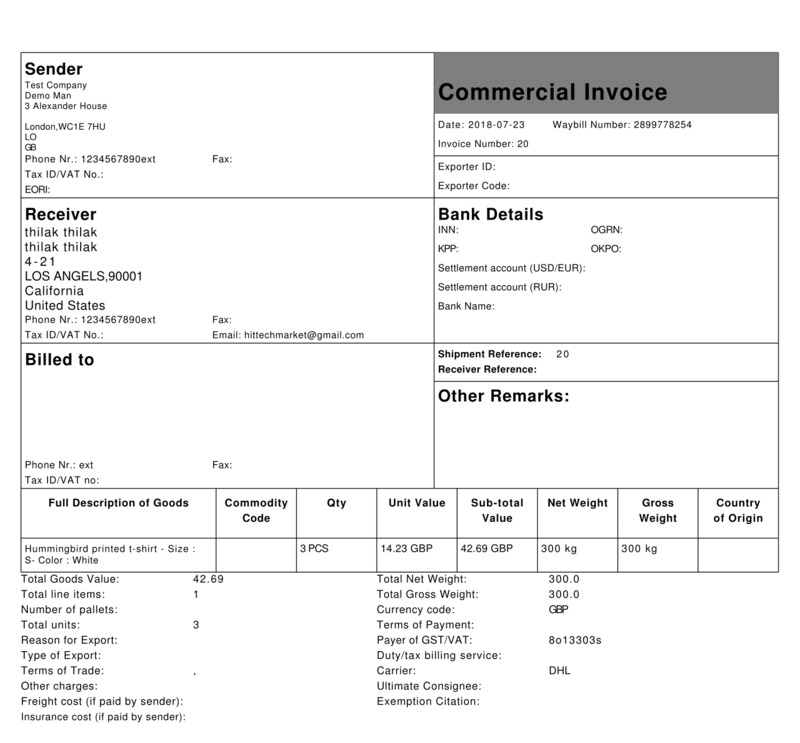 * Use the paperless trade feature and get a commercial invoice from DHL. DHL Express is a division of the German logistics company Deutsche Post DHL providing international courier, parcel and express mail services. Deutsche Post DHL is the world’s largest logistics company operating around the world, particularly in sea and air mail. The Deutsche Post AG, operating under the trade name Deutsche Post DHL Group, is a German postal service and international courier service company, the world’s largest. The postal division delivers 59 million letters each day in Germany, making it Europe’s largest such company. The Express division (DHL) provides services in 220 countries. hittechmarket.com creates quality opencart/PrestaShop modules/extensions that are easy to use and customize. We are proud to have thousands of customers actively using our service across the globe. Nice support. Support team solved problem in 1 hour. Thank you. Excellent Support with in few hours the problem was solved.